Kendall DeMatteo Levan has been practicing specifically in the areas of municipal, public and redevelopment law for more than twenty years and has represented a variety of public agencies such as municipalities, joint powers authorities, housing authorities, redevelopment agencies, community services districts, and public cemetery districts. During this time, Ms. Levan has advised on all pertinent areas of public law and acquired a wide range of skills through her unique experiences of advising public agencies on transactional matters and governmental processes and representing public agencies in court on various criminal and civil litigation matters. Ms. Levan is a Principal Attorney with Kane, Ballmer & Berkman, and serves as Special Counsel to several of the firm’s public agency clients, with a focus of advising on governmental processes and real estate development projects. Ms. Levan also serves as the managing attorney of the firm’s Florida operations. 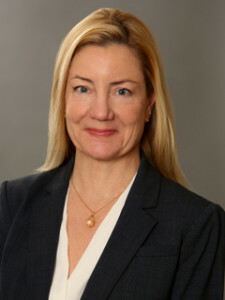 Prior to joining Kane, Ballmer & Berkman in 2010, Ms. Levan served as Senior Deputy City Attorney/Senior Deputy General Counsel with the San Diego City Attorney’s Office, where she was the primary legal advisor to the Redevelopment Agency of the City of San Diego and supervised and managed the Redevelopment Unit of the San Diego City Attorney’s Office. In addition, from the beginning of her legal career practicing public law and for a decade thereafter, she was a senior associate attorney with the law firm of Green, de Bortnowsky & Quintanilla, LLP, where she served as Assistant City Attorney, Assistant General Counsel, and City Prosecutor for several of the firm’s public agency clients. Ms. Levan is licensed to practice law in the States of California, Florida and Connecticut, and before the United States District Court, Southern District, and the United States Supreme Court. Ms. Levan is also a certified Redevelopment Professional by the Florida Redevelopment Association. Ms. Levan is frequently a program speaker on public law related topics, including serving as a Program Speaker for the City Clerk’s Association of California on municipal law issues, for the San Diego County Bar Association on redevelopment law issues, and for the San Diego Chapter of City Attorneys of the League of California Cities on redevelopment dissolution matters. Ms. Levan currently serves on the Board of Trustees of the Thomas Jefferson School of Law and as Chair of the League of California Cities’ Municipal Law Handbook Editorial Committee and is also a member of the Junior League of San Diego, Inc. Further, Ms. Levan has served as pro bono counsel for CASA for Riverside County, Inc. (which assists children who are dependents of the juvenile court), a past president of the Cathedral City Rotary Club, a member of the Inns of Court, and a member of the Junior League of the Palm Springs Desert Communities. Ms. Levan was named a 2014 Top Attorney in the Municipal & Government category by the San Diego Daily Transcript, was a finalist for the 2013 Women Who Mean Business Award from the San Diego Business Journal, and is a past recipient of the Athena Award in recognition for contributions to the business community and community service. Ms. Levan received her Bachelor of Arts degree from Rollins College located in Winter Park, Florida and her Juris Doctorate degree from Thomas Jefferson School of Law located in San Diego, California. During college, Ms. Levan also attended Harvard College located in Cambridge, Massachusetts and the University of Florence located in Florence, Italy.